Updating your boiler can have a major impact on home energy efficiency. For homeowners without a traditional furnace, boilers are the most common home heating system. Boilers heat water and distribute it throughout the home to heat the space. Just like with furnaces, energy efficiency is a major priority for boiler replacement and installation. 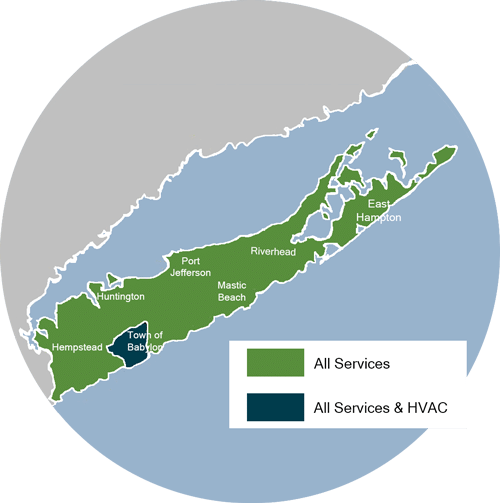 Triple H Home Efficiency Experts specializes in installing high-efficiency boilers that will help improve your home's comfort and save you money on your heating and cooling costs. If you're interested in boiler replacement or installation, contact us today to schedule a free estimate! We offer all our home heating services in Babylon and the surrounding areas. Combi-boilers supply hot water for heating and washing: Regardless of the fuel used, a boiler can supply hot water for heating alone or for heating and washing. A boiler that does both jobs is often referred to as a "combi-boiler." With a combi system, no separate hot water heater is necessary. In fact, when the boiler is running to provide water for whole-house heating, hot water for washing is heated for free. Boilers supply hot water for different "hydronic" heating systems: "Hydronic" is a term used to describe any HVAC system that uses water or fluid. There are several different types of hydronic heating systems that utilize boilers. Hot water can be pumped to baseboard and other types of radiators located throughout the living space. It can also be circulated through plastic tubing that has been installed beneath finished floor surfaces. In this type of "hydronic radiant floor" heating system, the flooring becomes a giant radiator to provide home heat. A third type of hydronic heating system, called "hydro-air," circulates hot water from the boiler to a heating coil in a duct system, where a fan circulates the heat to the rooms in your house. If you want to improve your home's energy efficiency, reduce heating costs, and enjoy a more comfortable home, contact the heating experts at Triple H Home Efficiency Experts today. We'll help you understand your options and get the best solution for your home. Contact us today for a free estimate on boiler replacement or installation in Babylon and the surrounding areas.